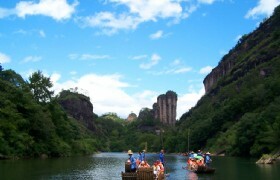 Wuyi Mountain is a landscape of treasure. Because of the typical Danxia landform, rounding Jiuqu stream, plus the mysterious ancient Minyue culture it gained the title World Natural and Cultural Heritage. In these 5 days, you will have a private coach with an expreineced driver and an English speaking tour guide. It is an escorted tour to visit all famous local historical relics and natural attractions in this area. The price shown in the calendar is for a group size of 4 persons. Please select a date from the calendar, choose the number of passengers, then you will know the price for your order. Upon arrival in Xiamen, you will be picked up and transferred to your hotel. Visit Gulangyu Island in the afternoon. It is renowned for its delicate natural beauty, ancient relics and varied architectures. It is a tiny garden with style of mixture of Taiwanese and Japanese garden and features snaking paths, koi ponds and hidden zodiac sculptures. It displays a collection of over 200 pianos from different nations in the world, some of which are over a century old. When the Treaty of Nanking was ratified in 1842, British forced China to open its door to outside world, Xiamen is a thriving port city once again. More and more Europeans live in Gulangyu. 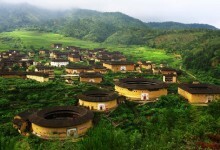 Visit Chuxi Tulou Cluster in Yongding County. 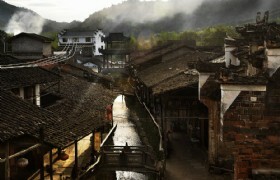 Located in Yongding County, Xiayang township, Chuxi village. Inscribed as UNESCO World Heritage site 1113-001.In Chuxi Village, there are five round clusters and many square clusters, scatted on mountains. A small path made of cobblestones links these clusters. Behind the buildings are terraced hills and dense forests. The largest round tulou, and also the oldest in this cluster, built in 1419 during the reign of Emperor Yongle of the Ming dynasty. It consists of two concentric rings, the outer ring building is four storeys tall, with 53 rooms on each level. The outer ring has 72 staircases. The second ring is a one-storey building. 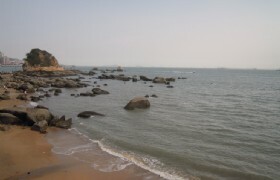 Morning tour to Zeng Cuo An Beach and Coast Road. Afternoon tour to visit South Putuo Temple and Xiamen University. Later in the evening you will catch a 3-hour train to Wuyishan. Huangdao Road in Chinese. From Xiamen University to International Convention Center. It is about as ocean-front as you can get. The view is splendid. 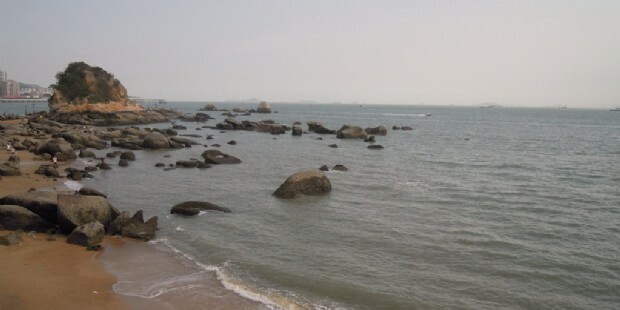 This water front plank is 6km long stretching from Hulishan Fort, Pearl Bay Garden, Calligraphy Square, Zeng Cuo An Beach, Musician Square, Baishi Fort relics, Sun Bay Beach and Huangcuo Rock Beach. This waterfront plank is divided into two parts. The waterfront bridge is built on shoreline cliffs, and the trail is built on beach. Enjoy your time here. You can rent a bike and ride on trails specially designed for you only! Our hotel is located in ZengCuoAn. ZengCuoAn area has attracted more and more people to visit. We recommend Red Armadillo for you to spend the rest time of the night on ZengCuoAn beach. It servies the best Mexican food in Xiamen. The fusion of American chunky meats plus Mexican chili makes a wonderful combination for the Xiamen’s latest beach cultured food this year. 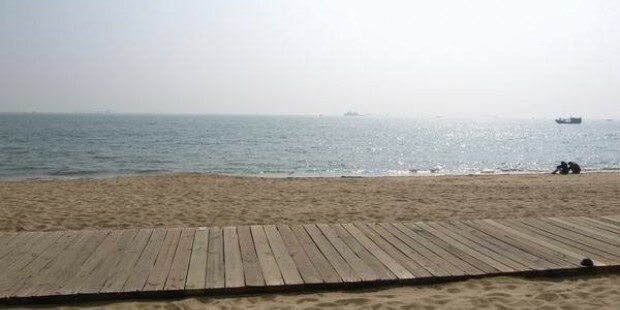 Situated on 515 Siming South Road, South Putuo Temple faces the sea. It is the most famous temple in Xiamen. The vegetarian Cuisine in Nanputuo Temple is something you can try for dinner tonight. Famous dishes include taro paste with dried seaweed, luohan (a kind of fruit used in Chinese medicine), corn with pine nuts, tempeh stuffed in bamboo, and roasted, marinated flowers. It was founded in 1921 by Tan Kah Kee, the well-known overseas Chinese leader. It was the first university in the history of modern Chinese education to be founded by an overseas Chinese. With its campus running along the seashore at the foot of mountains, the campus is regarded as the most beautiful campus in China. Take a full day exploration to the natural beauty, Mount Wuyi, the most outstanding area for biodiversity conservation in southeast China and a refuge for a large number of ancient relics and species. Today’s highlight is rafting down the Nine Bend Stream by bamboo raft! The landscape is fabulous with sheer cliffs and tall mountains. Later, you will visit visit Wuyi Palace and Ancient Song Street and climb up Tianyou Peak, the sheer rock peak that rises skywards to get a bird’s eye view of the magnificent mountain. 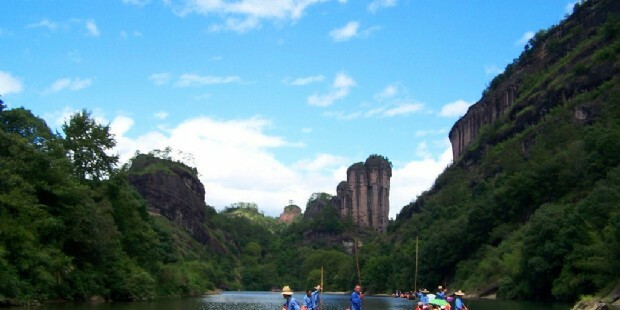 Mount Wuyi: Mount Wuyi has been enlisted as a UNESCO World Heritage Site, for cultural, scenic and biodiversity as of 1999. 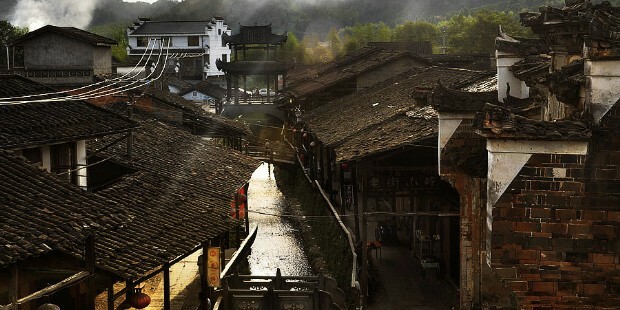 In the morning, you will take a visit to Xiamei Ancient Village Most of the buildings are very well preserved and feature sculptures of brisk, wood and stone, which is one part of the Wuyi World Culture Heritage. 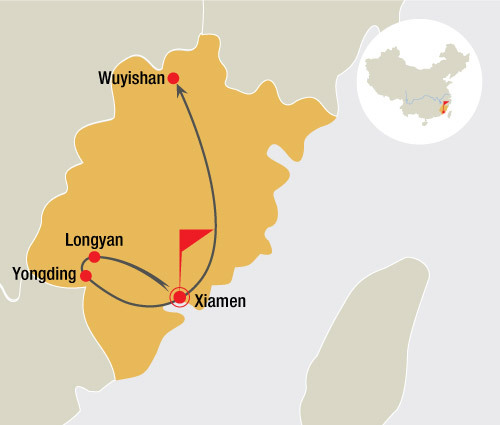 After lunch, you will be transferred to Wuyi Airport or Railway Station for departure. Xiamei Ancient Village: Xiamei Village is located on the eastern side of Mount Wuyi, the village was once a very important stop of the Ancient Tea Road. Please select a date, then you can choose the number of passengers and find the total price. Airfare to Xiamen and leave from Wuyishan.